The extensive use of STABL for academic purposes originated requests from users to introduce many improvements to the original STABL program since its introduction. 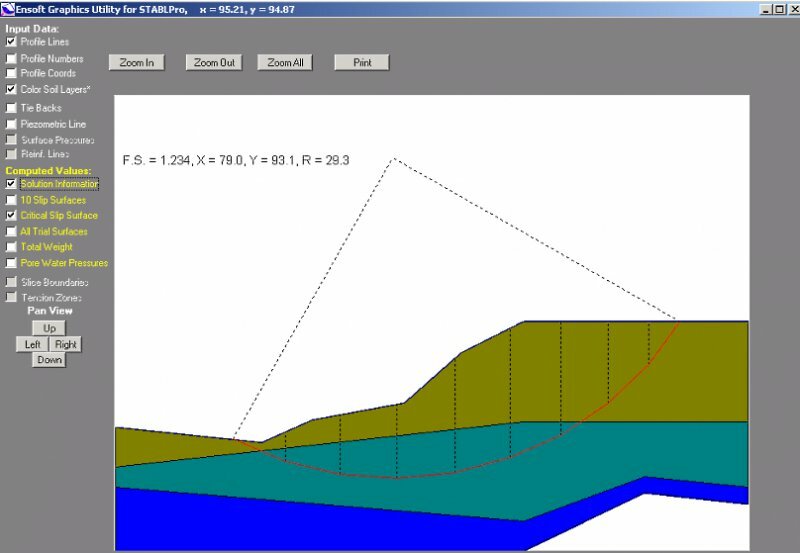 Most of the current versions can handle tieback loading, reinforced-earth layers in embankment, and Spencer's method of analysis. 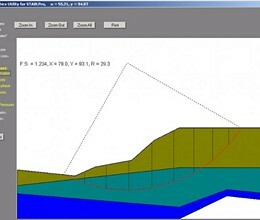 The computer program STABLPRO has been developed specifically for users to ease their modeling process and to enhance the graphical observation of slope boundaries and critical slip surfaces. * StablPro download link provides demo version of the software. how i get a full license sir? StablPro has been rated 3.3 out of 5 points. A total of 3 votes cast and 1 users reviewed the software.